The first thing that comes to mind when I think about Maine is lobsters. There really isn’t anything better than a freshly caught lobsters epically after along day at work if traveling. There is something special about Maine lobsters. Something different that makes them better then any other lobsters. So much so that if you call a normal lobster a main lobster it is going to taste better. You don’t have lobsters without water and surprisingly Maine has a long beach line scattered with islands and light houses. 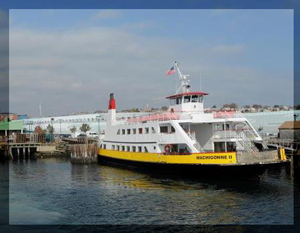 The best way to see all of these great water bound vistas is hop aboard one of the Casco Bay lines Ferrys. The boat line works out of Portland and has a variety of different charters to choose from. There are 3 ferry runs that are operational year round and they are the Mail boat run, sunset run, and sunrise on the bay. The first the main boat run is exactly as it sounds a run that follows the patch the old boats would use when delivering mail up and down the coast. Its one of the best ways to see the local points of interest. Its also interested to note that the ferry still transports mail with each run. Making it both a tourist attraction and a public service at the same time. The other two runs are more relaxing and less about business. Enjoy a beautiful sun rise or sunset with a special someone daily. Sunrise run stats at 5:05 and the sunset starts off at 5:45 year round. There are other longer cruises available just check online to see what is running. Avis Rental Cars has the ability to provide you with the lowest rates for Rental Cars in town. Rates so low we are practically giving you a license to steal. Avis offers coupons and discounts for vehicles throughout the year including some the of the holiday and peak seasons. Be sure to check the latest rates and specials for Avis Rental Cars in Portland, Maine! As I said above Maine is all about the lobsters and Portland is the largest the largest distributor. While on the ferry I asked around with a few of the locals and they pointed me to a small mom and pop joint that I was told has the best lobsters and claims in the area. They warned me to bring cash as they didn’t accept card. The fishermen’s Grill is located at 649 forest Ave, it’s a small place that only has about 4 tables in the dinning room. I usually try to avoid overly small restaurants because you never know what to expect, but I wanted lobster and I was told this was the go to place. We stuck it out and I was so glad we stayed. The lobster I can say was the best I have ever eaten. I wish I could say that’s a big deal but I haven’t had much lobster in my day. I’m more a steak guy, but don’ t let they fool you I know when something taste good. This Maine lobster was the best I’ve ever had and I’m sure it is that way for everyone who eats it. Cooked fresh and especially for you each order is special and made with love. Don’t think because this is a small place the price is going to be extremely cheap. 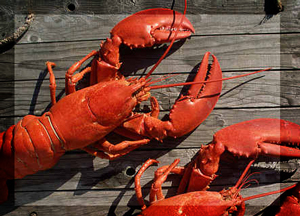 Cost will still be around 15-25 bucks a person, Maine lobsters aren’t cheap. Fishermen’s Grill is one of the best places to get fresh local Maine Lobsters. If I ever go back ill be sure to try it out again.